From informal receptions to gala dinners; from weddings to product launches. 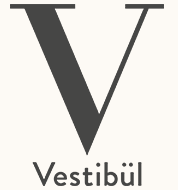 Let the Vestibül set the stage for your event. We offer flexible packages for business and private functions, tailor made to your precise requirements. The Vestibül’s unique ambience and excellent infrastructure (including free wireless internet access) make it perfect for receptions, staff parties, press conferences and more. Thinking of doing something really special? Greet your guests at the carriage entrance! The former imperial carriage entrance hall makes a stylish venue for any event. Guests are served a selection of drinks and delicious fingerfood at the bar.